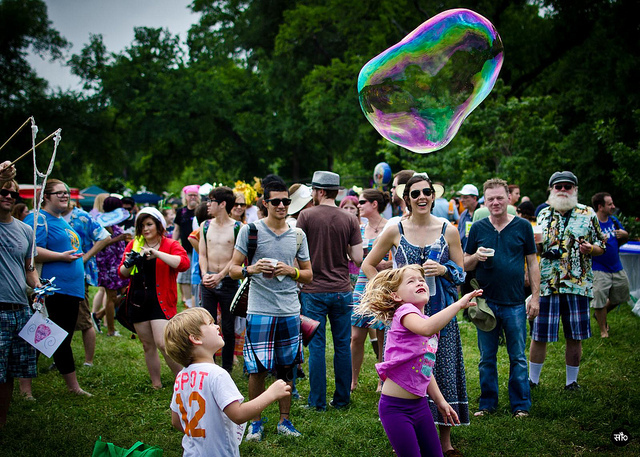 The last Saturday of April marks one of the weirdest and longest running free events in Austin: Eeyore’s Birthday Party. 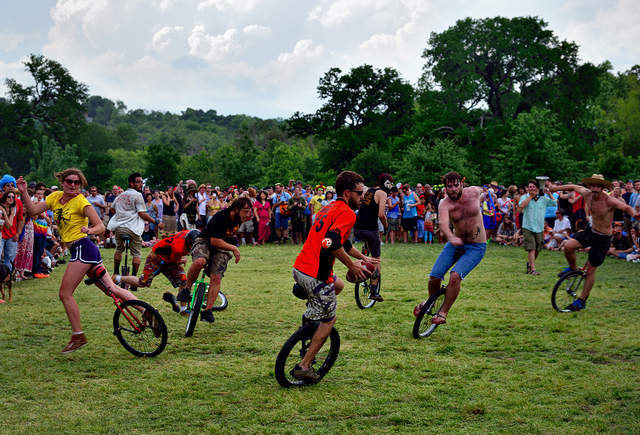 It’s a community event which brings together a multitude of Austin subcultures for one day of festivities. Not only is Eeyore’s Birthday free, but it also helps raise money for local non-profits. Now in its 56th year, here is everything you need to know to make your 1st or 56th visit a success. For festivals like this, I always like to start with a bit of history. In the original Winnie the Pooh books by A. A. Milne, Eeyore is a gloomy, pessimistic and depressed character. In one story, he thinks everyone has forgotten his birthday, only to find out they have planned a surprise party for him. From this classic story sparked an idea. In 1963, Lloyd W. Birdwell Jr. and other UT Austin students from the English Department organized a spring party and picnic in the name of Eeyore. The picnic included lemonade, beer, honey, a flower-draped donkey and a maypole. 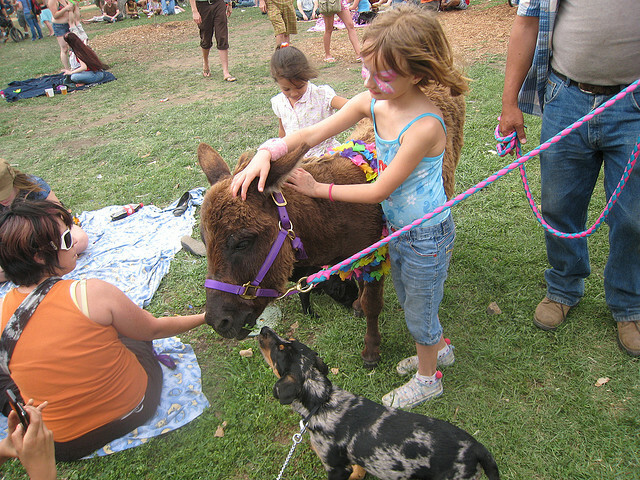 As Austin’s hippie community took to the event, the annual UT tradition, originally taking place in Eastwoods Park, grew and moved to Pease District Park in 1974. 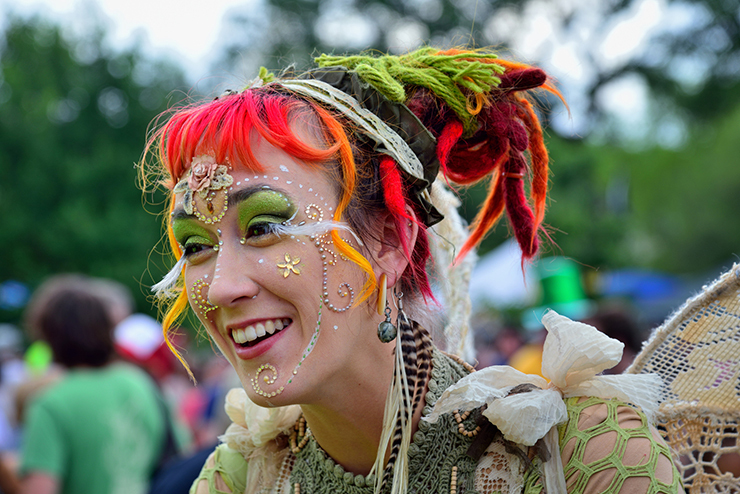 Today, the Friends of the Forest Foundation keeps the free annual festival going by organizing vendors and volunteers. All vendors at the event are non-profit organizations. Festivities always fall on the last Saturday of April, which is April 27, 2019 this year. Starting at 11 a.m., you can expect the party to run until dusk. Be prepared to witness an amazing juxtaposition of old and new Austin. Original Austin hippie culture mixes alongside the new Austin hipster culture seamlessly. The festival also includes family-oriented games and contests. After all, just because the original party-goers of the 60’s and 70’s have grown up and had children (and grandchildren), doesn’t mean they’ve lost their zest for Eeyore’s Birthday Party. Remember, this is an event for your inner child, so dress up! There will be costume contests and prizes for everyone. But you may also notice a lack of costumes. Don’t be surprised to see some nakedness. A word to parents: the event tends to be more child-friendly earlier in the day. 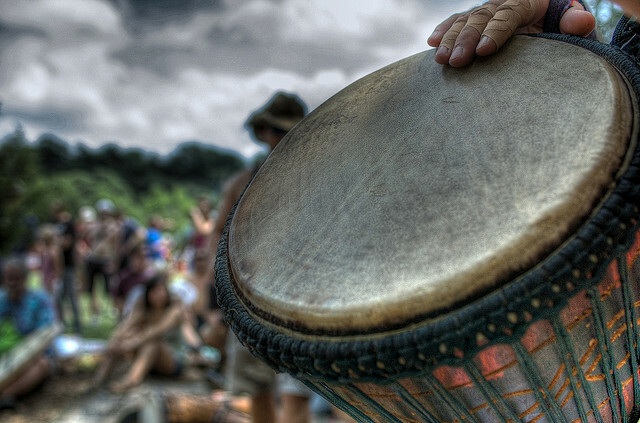 There is live music scheduled from 12-6 p.m., face painting, henna and temporary tattoo stations, games, food, drinks and not-so-impromptu drum circles and dancing. Keeping with the 56-year tradition, there will be a maypole and a live donkey–Eeyore. DON’T drive. I repeat. Don’t drive. There is no available parking at Pease District Park, so have a game plan. The park is easily accessible from the Shoal Creek Hike and Bike Trail if you want to bike. Or you can take the Capital Metro 338 bus (Lamar/45th Street route). Enthusiasm, cash, blankets, an open mind and – most importantly – instruments: bongos, tambourines, guitars, recorders, kazoos, whistles, drums, cymbals. You get the picture. All are acceptable and welcome. Bottles, cans or coolers, as they are not allowed in the park. Remember, this event raises money for charity and local non-profits will be stationed throughout the park selling hot and cold food, water, beer, lemonade and other memorabilia. So support the local Austin community and plan to purchase food and drink items at the park. Looking to volunteer? Sign up for notifications to help with park preparations, manning game stations, crowd control and more. Otherwise, simply come and let your inner freak flag fly freely for Eeyore and support your local Austin charities. What is your favorite part of Eeyore’s Birthday?